We were founded by the Quakers in 1905, as a charitable institution caring for elders, with the beliefs that all should be treated with dignity and that "there is that of God in each of us." 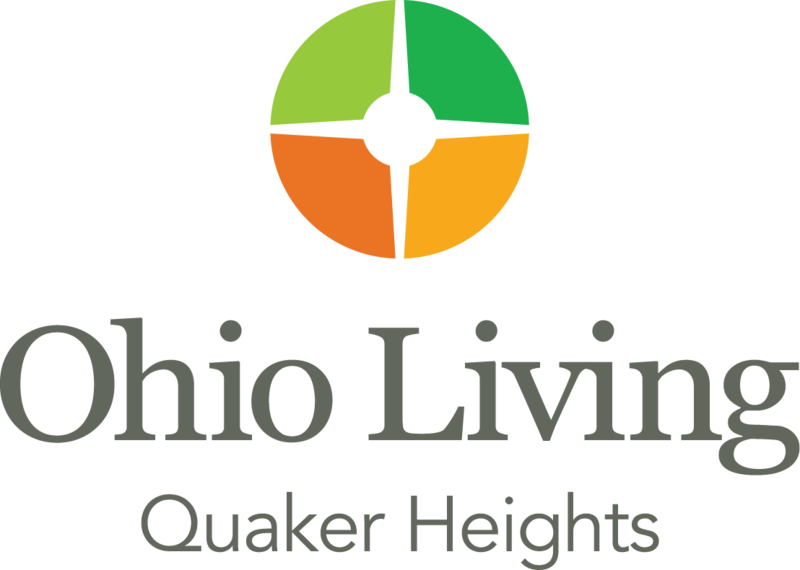 Because we strive to live the Quaker values of integrity, equality, harmony and simplicity, our residents and their families feel respected, loved and at home. Many tell us that we become part of their family. Over the years, we often care for multiple family members because they "would not think of going anywhere else." The official electrician for this year’s festival is Bates Electric, servicing the Dayton area and beyond. Bates Electric provides safe, secure installations, and offers peace of mind when servicing your home. Offering over a decade of experience and 24-hour emergency service, Bates Electric is a trusted name for Commercial, Residential, and agricultural electrical services in the Dayton area. Call Bates Electric today for your home or business needs at (937) 681-0606. Sign-up starts soon! The Annual Enrollment period for Medicare starts this coming Monday, October 15th. The time to apply for your 2019 health insurance plan is coming up. You can also buy dental and vision insurance by shopping today. AT&T offers TV service on the go, and the latest and greatest technology with smart phones. Click the link to learn all about the hot items. We are a One-Day bath remodeling company. We can replace your tub or shower in one day! American-made kitchen products since 1949 and backed by a Forever Guarantee. Cutco offers everything from kitchen knives, kitchen gadgets, hunting knives, flatware, and cookware. With more than 1.1 million LASIK eye surgery procedures performed, The LASIK Vision Institute® provides the best quality laser vision correction for the best value. Discover why we’re a trusted leader when it comes to expertise, affordability, and convenience. LeafFilter Gutter Protection is a proud supporter of the Ohio Sauerkraut Festival. Protect your home with LeafFilter, a comprehensive gutter guard system that guarantees clog free gutters. Visit the LeafFilter booth and sign up for a FREE gutter inspection and estimate. You can also call 1-800-290-6106, or visit www.LeafFilter.com to find out why LeafFilter is Gutter Protection Perfection! A big welcome to the sauerkraut Festival from Mr. Roof! We have been your neighborhood roofer for over 50 years. We offer premium quality products paired with the best customer service in the industry, and even though roofing is in the name we do way more than just roofing! We are here for you and all of your exterior needs, including, gutters, windows, siding, masonry, insulation, and more. When it comes time to get work done on your home, choose a local contractor who you can trust, choose Mr. Roof. Get the beauty, energy efficiency and value you want for your home when you choose Renewal by Andersen® replacement windows. We are proud to offer the exceptional performance of these products to our friends and neighbors in Dayton. We have committed to be the exclusive supplier of Renewal by Andersen windows and patio doors in Dayton because we believe that these are, hands-down, the best products available on the market. Our installers are factory-trained and certified, giving you the assurance that you will receive expert installation backed by complete manufacturer warranty coverage.